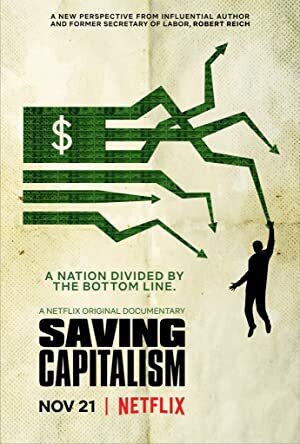 Saving Capitalism (2017) – What's New on Netflix Canada Today! SAVING CAPITALISM is a documentary film that follows former Secretary of Labor and Professor, Robert Reich, as he takes his book and his views to the heart of conservative America to speak about our economic system and present big ideas for how to fix it. Former Secretary of Labor Robert Reich meets with Americans from all walks of life as he chronicles a seismic shift in the nation’s economy.